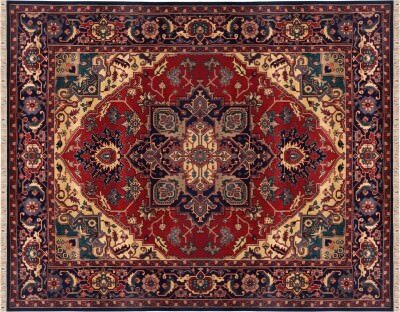 Oriental rugs represent a considerable investment. Like your house, any rug needs regular maintenance and cleaning to maintain its value. Who will you trust in Folsom and the greater Sacramento area to clean your Oriental and custom rugs? Sacramento’s top interior designers refer their clients to Artistic Associates for full-service cleaning and repair of rugs and flooring. Someone that cleans wall to wall carpet isn’t automatically qualified to clean your custom area rug. Often, the methods used for cleaning a synthetic area rug can severely damage natural fibers. Carpet cleaners also don’t always recognize that natural dyes in area rugs can bleed if not treated properly. With more than 40 years of experience and training from the Institute for Inspection, Cleaning and Restoration, we are more than capable of handling your precious investment. Careful procedures, experienced technicians and our in-house workshop are the primary guarantee that your Oriental and custom rug will come back restored. For your security as a client, however, Artistic Associates is also fully insured and bonded. Knowing the importance of proper handling of custom made area rugs, we have designed a facility to effectively clean and restore all types of rugs. This allows us to thoroughly test each rug for dye fastness, properly dust your rug and fully wash your rug to be sure it returns to you in better condition then when we received it. You can trust that your rug will be in our caring hands every step of the way. Artistic Associates has designed its own eight-step process to clean custom-made rugs. Heirlooms deserve strict attention to detail during cleaning, and our time-tested procedures provide a quality restoration. Our experience lets us successfully repair damage from water, stains, moths and insects, and even pet urine. Artistic Associates also provides custom-fit underlayments, an essential component for the preservation of your area rug. Our honest pricing, exceptional facilities and extensive training all guarantee that the maintenance and restoration of your Oriental rugs will be a successful experience. Contact the area rug cleaning service Folsom can trust at 916.483.7400.